Mathew Fraser and Tia-Clair Toomey have again been crowned the “Fittest on Earth” after retaining their titles at the 2018 CrossFit Games. The duo dominated in Madison, Wisconsin and earned prize money payouts of US$300,000. American Fraser won his third consecutive gold, while Australian Toomey made it back-to-back titles at the Aliant Energy Centre. Fraser wore the leader’s white jersey in the men’s competition ever since the third event, the CrossFit Total. 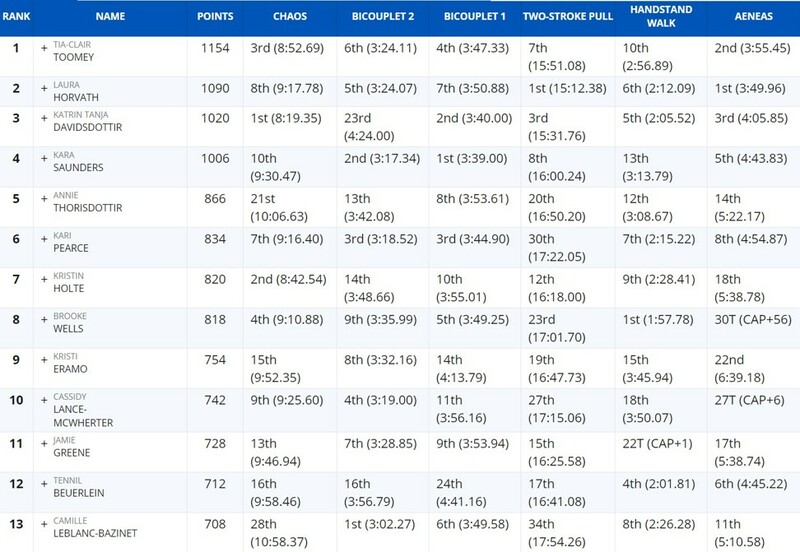 He only picked up two more event wins but was consistently a high finisher, with his lowest finish 11th on the Marathon Row. His only other finish outside the top five was the Chaos (ninth). 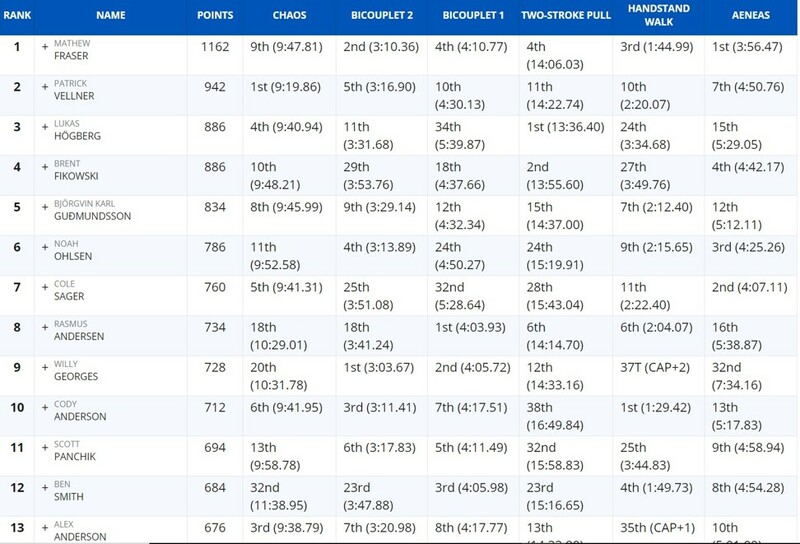 On Sunday, Fraser ended up winning by a remarkable 220 points after taking fourth place in the Two-Stroke Pull (14 minutes, 6.03 seconds) and third in the Handstand Walk (1:44.99), before capping things off in style with a victory in the Aeneas (3:56.47). 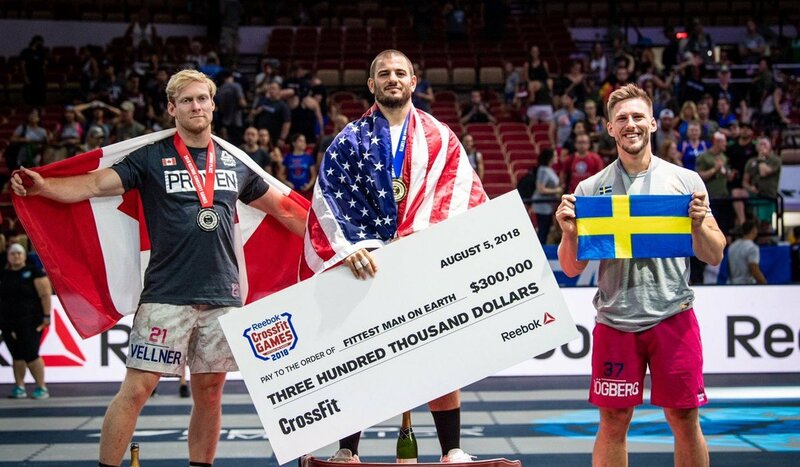 Fraser is now just one title off the all-time record of four held by Rich Froning – who won the team competition with CrossFit Mayhem Freedom on Sunday. Patrick Vellner went one better on his third-place finish from 2017, recovering from a disastrous 35th place in opening Criterium bike race after technical problems to move up the leader board to finish second overall on Sunday. 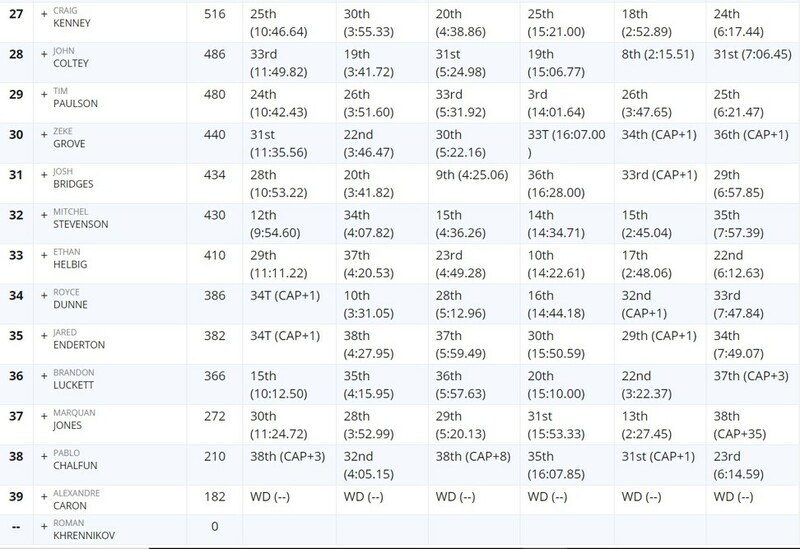 Vellner posted a personal record 595-pound dead lift in the CrossFit Total and won the Chaos, as well as putting in five more top-five finishes. 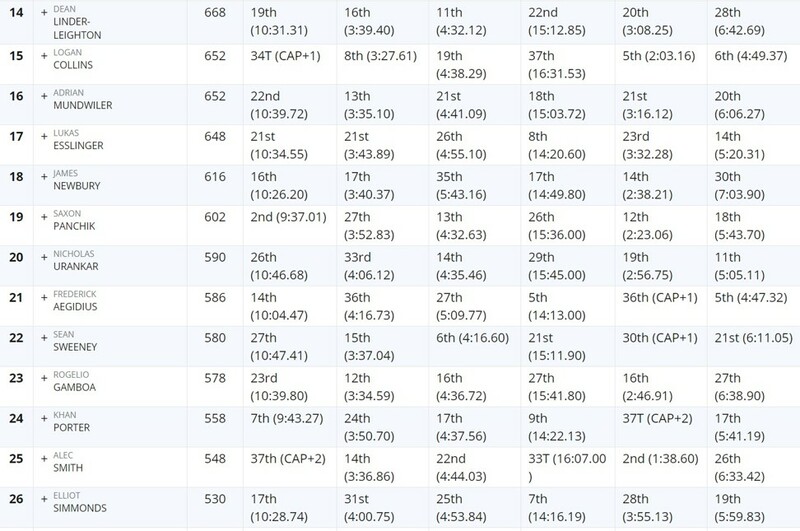 Lukas Hogberg and Brent Fikowski ended up tied on points but Hogberg took third place by virtue of winning the Two-Stroke Pull, which acted as a tiebreaker, in 13:36.40 with Fikowski second in 13:55.60. 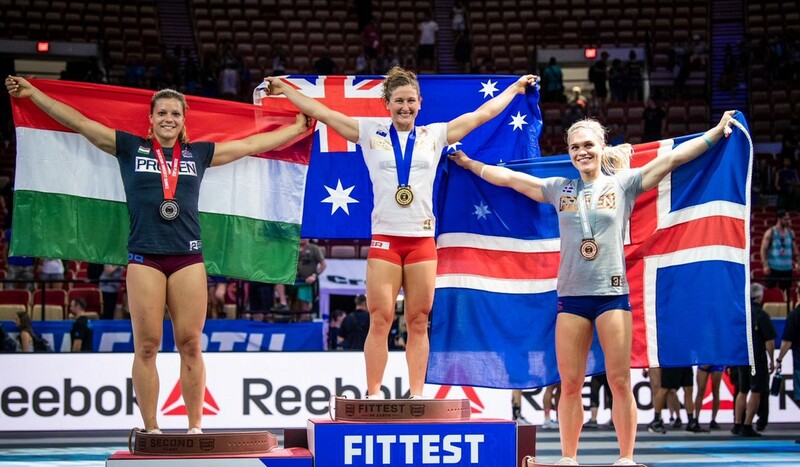 Toomey won by the narrowest margin in CrossFit Games history in 2017, but this year it was a different story as she stormed to gold. The 25-year-old finished 64 points ahead of Hungarian rookie Laura Horvath, having separated herself from the chasing pack on Saturday. 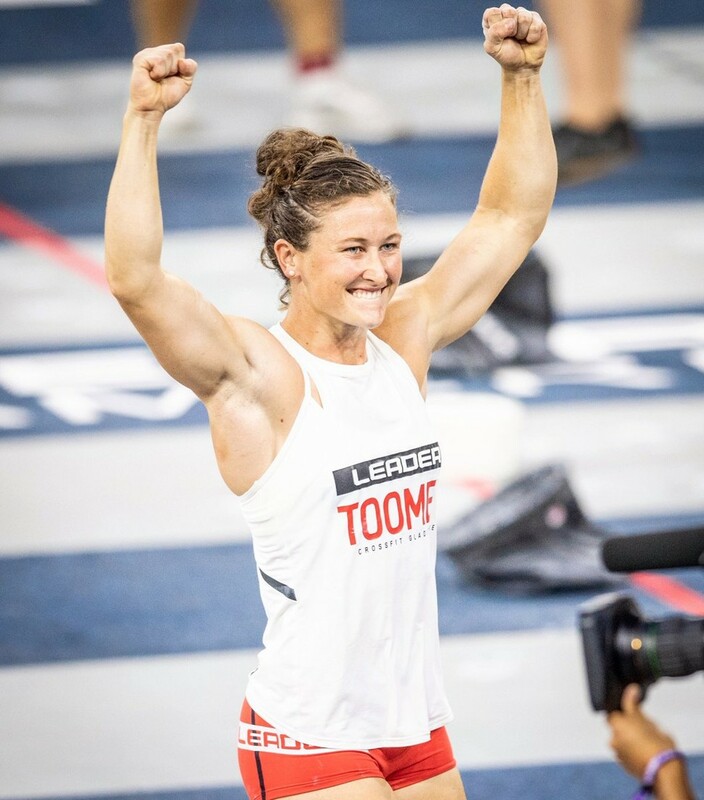 Toomey took just two victories – the CrossFit Total and Madison Triplus – through the 14 events, but like Fraser her consistency proved the difference, with only one finish outside the top 10, when she was 14th on the Marathon Row. Horvath took her second event win of the week when she blitzed the Two-Stroke Pull in 15:12.38, but Toomey kept herself in the high points with a seventh-placed finish (15:51.08). Horvath also bettered Toomey (10th, 2:56.89) on the Handstand Walk (sixth, 2:12.09), and then won the Aeneas in 3:49.96 but Toomey was right behind her in second (3:55.45), ensuring there would be no late drama. Rounding out the women’s podium was Katrin Davidsdottir, but the two-time champion who surrendered her crown to Toomey last year was a distant 134 points behind her this time. Kara Saunders came home in fourth with two-time champion Annie Thorisdottir fifth. Athletes had to complete five rounds for time of a 300-metre run, 20 calories (15 for women) on an Assault Bike and then a 44-foot (13.4m) sled pull. The time cap was 18 minutes, and athletes finished when they pulled the sled across the line for the fifth time. 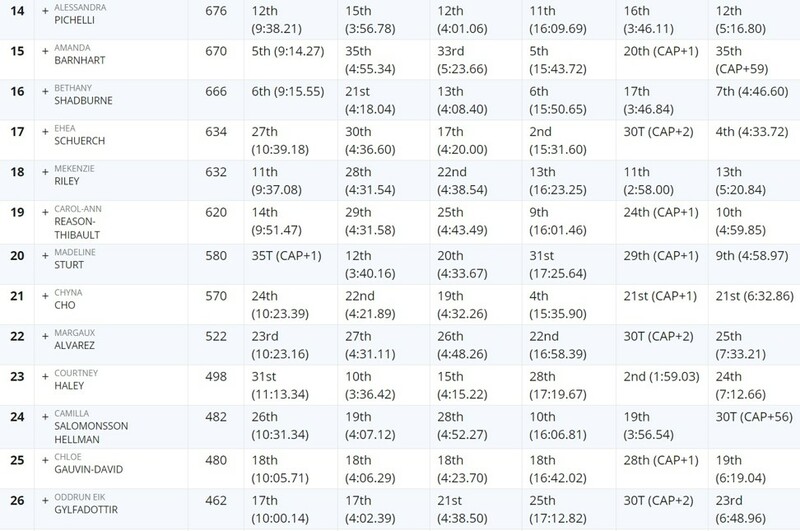 Horvath was top among the women, ahead of Ehea Schuerch (15:31.60) and third-placed Davidsdottir (15:31.76). Chyna Cho (15:35.90) and Amanda Barnhart (15:43.72) made up the rest of the top five. 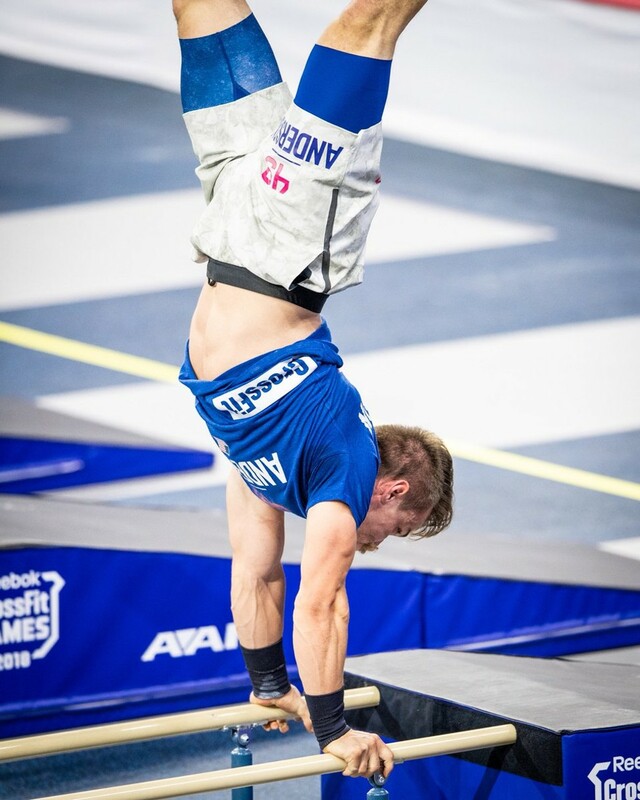 Hogberg of Sweden made it a European double with victory on the men’s side, after seeing off Fikowski. 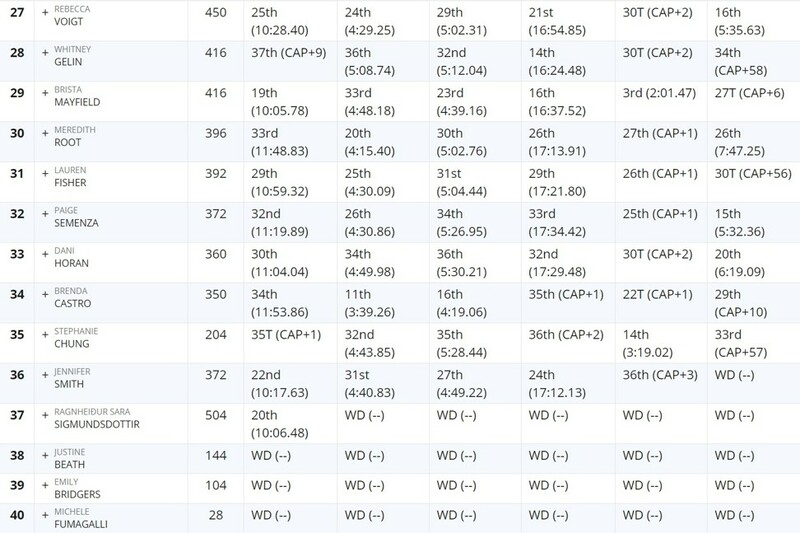 Tim Paulson was third in 14:01.64, while Fraser took fourth (14:06.03) and Frederick Aegidius was fifth (14:13.00). 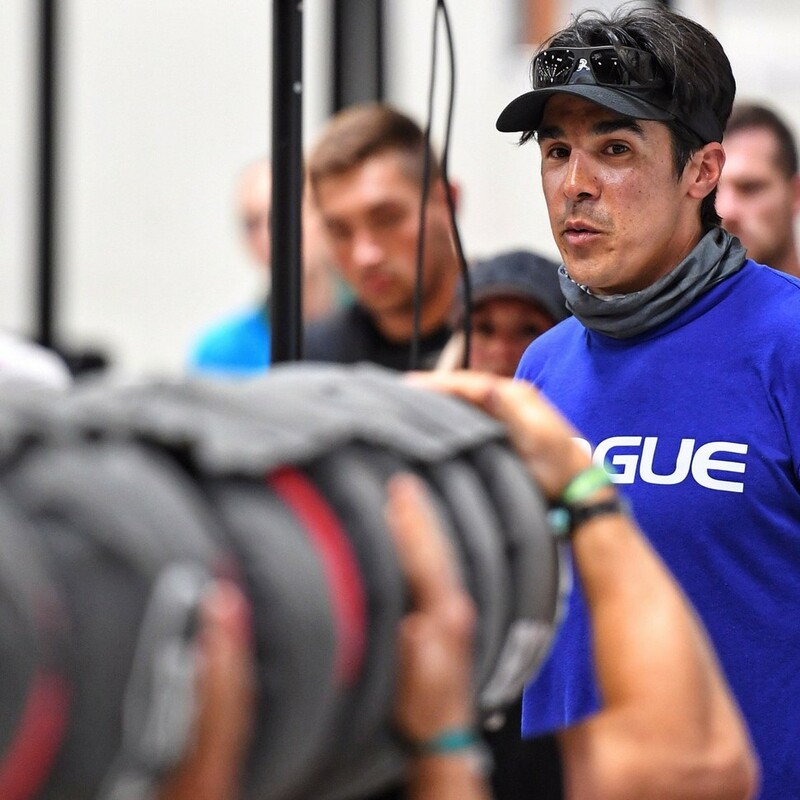 CrossFit Games HQ director Dave Castro left it late to announce this final two events, the first of which was the Handstand Walk. For time, with a four-minute cap athletes had to do 50 double unders with a heavy jump rope, then a Handstand Walk course over several obstacles, starting with the pylon slalom, then ramps, stairs and parallel bars. American Brooke Wells took victory among the women in 1:57.78 ahead of Courtney Haley (1:59.03) and Brista Mayfield (2:01.47). Tennil Beuerlein was fourth (2:01.81) and Davidsdottir fifth (2:05.52). Former gymnast Cody Anderson was first on the men’s side in 1:29.42, with Alec Smith second (1:38.60) and Fraser third (1:44.99). Ben Smith (1:49.73) and Logan Collins (2:03.16) rounded out the top five. For time, athletes had to complete five/four (male/female) pegboard ascents and 40 thrusters (85/55lb) before moving to the yoke carry. They had to carry the yoke 33 feet across the Coliseum floor, stop twice to add weight, then cross the finish line after a total of 99 feet. The time cap was eight minutes. For the men, the yoke weights were 425lb, 565lb then 665lb. For the women, the weights were 345lb, then 405lb, then 445lb. Fraser was already out of sight and assured of the title by the time the Aeneas kicked off, but nonetheless he capped off a glorious week with victory in 3:56.47. Cole Sager took second in 4:07.11, ahead of Noah Olsen (4:25.26), Fikowski (4:42.17) and Aegidius (4:47.32).